If you want to see or cage dive with great white sharks, there are 5 main places to do so: California, Mexico, South Africa, Australia and now also New Zealand in the world to do so. South Africa is probably the easiest (and cheapest) place to accomplish that goal, the problem is getting there. It’s a long flight from just about everywhere to reach the southern most country in Africa. For the size of the country South Africa has a lot of sharks, especially great whites. The country ranks #2 in the world in shark attacks, only behind Australia, which is a much larger country geographically with more beach areas and water goers. One of the reasons for so many sharks (and attacks) is the large amount seals, penguins and other prey. The water there is also cold (in the winter) which is also a favorable factor. To see the biggest sharks, go in the winter when the water is coldest. 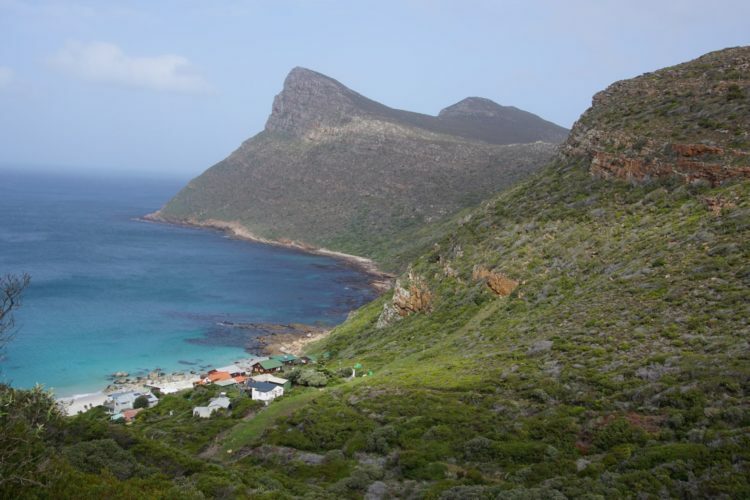 To have warmer waters, go in the summer (note: dives from Mossel Bay or Gansbaai have warmer water than Simons Town). In the summer, you can still see plenty of sharks, but they are generally younger and smaller in size. Remember, South Africa is in the Southern Hemisphere and the seasons are opposite those of the countries in the Northern Hemisphere. 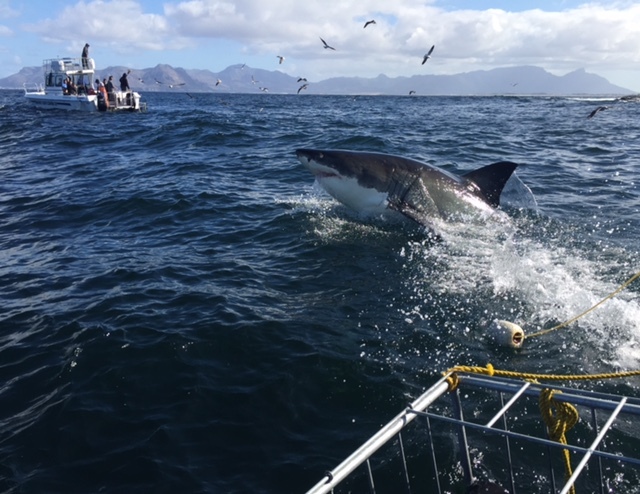 Winter – June, July, August, and September are the most popular times to see and experience the biggest great whites, however the season stretches from February to the end of September with possible year round cage diving over in Mossel Bay. The absolute best time to see the largest sharks are the peak winter months of July and August. The winter months are also most popular for touring Kruger and other top game parks in the country, so it’s possible to The Big 5 (lions, elephants, cape buffalo, leopard, rhinoceros) and great whites in a single visit to the country. Cooler weather in the national parks is a big plus, as a safari experience can be absolutely stifling in during the summer months. If you have watched Shark Week on the Discovery Channel, there’s a good chance that you know of or have seen Chris Fallows in action. Many people know of the “Air Jaws” documentary and subsequent features aired on Discovery that were filmed with Chris in False Bay. He has worked with great white sharks in South Africa for over 25 years, and has been featured on television, as well as in magazines, and many print publications around the globe. He and his wife spend most of their time running their company, APEX Shark Expeditions, and Chris still captains most of the boat tours. I did 2 days of cage diving with APEX during my trip to South Africa, and during the first trip a cameraman for Discovery was on board filming for Shark Week. APEX offers a variety of shark diving and other wildlife tours for visitors. Tours including great white cage diving, multi-day cage diving trips (5-10), snorkeling with seals, whale watching, other marine dives, penguin colony tours, and even wildlife safaris. In short, the company offers just about every sort of outdoor and wildlife excursion that South Africa is known for. For more information about the tour options, click here for the APEX website for more information and specifics. There are 3 main places that you can see and dive with great white sharks in South Africa: Simon’s Town, Gainsbaai, and Mossel Bay. Durban does have sharks and cage dives, but great whites are not the main sharks featured. I did my dives in Simon’s Town, but am familiar with all of the diving sites from my interviews with notable people involved in cage diving and visits to some of the locations during my stay. Simon’s Town has the fewest tour companies, number of people on the boats, and the most unique experiences – but the prices are also higher than in the other locations. 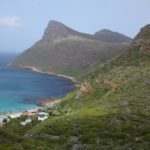 The dives and shark viewing take place near Seal Island, a small island 5.7 km (3.5 miles) from Simons Town that’s inhabited by thousands of seals in the waters of False Bay. Simon’s Town (False Bay) is a small town located on the Southwestern part of South Africa. The town itself isn’t very big (around 7,000 people), but it has some of the best and most unique great white action in the world. The drive into town from Cape Town is very scenic as you pass through other gems like Muizenburg, and Fish Hook all along the coastline. There’s an array of accommodation in Simon’s Town with lots of private lodging, some hotels and even a hostel in the center of town on the main street. As an added benefit, Simon’s Town is also home to Boulders Beach Penguin Colony, home to the largest gathering of African penguins on the continent. While in Simon’s Town, the penguins are a must see. 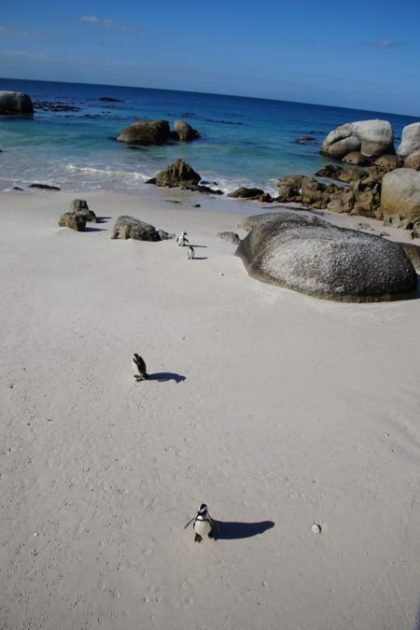 Boulders Beach (also known as Boulders Bay) is located about a mile or so outside Simon’s Town. You could walk there from the town’s center if you wanted without much bother. Boulders Beach has entrance fee of R60 (or about $5 US) and is located within in the Cape Peninsula in the Western Cape province of South Africa. Boulders Beach forms part of the Table Mountain National Park and is only about 30-40 minutes drive to the Cape of Good Hope and Cape Point, which have some of the most spectacular cliffside views in the world. 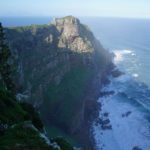 This area is a convergence of the Atlantic and Indian Oceans, has some wonderful hikes, is tourist friendly, and absolutely breathtaking. South Africa has some of the prettiest coastline and nature views that I’ve seen in any country that I’ve visited and this area is full of photo opportunities. 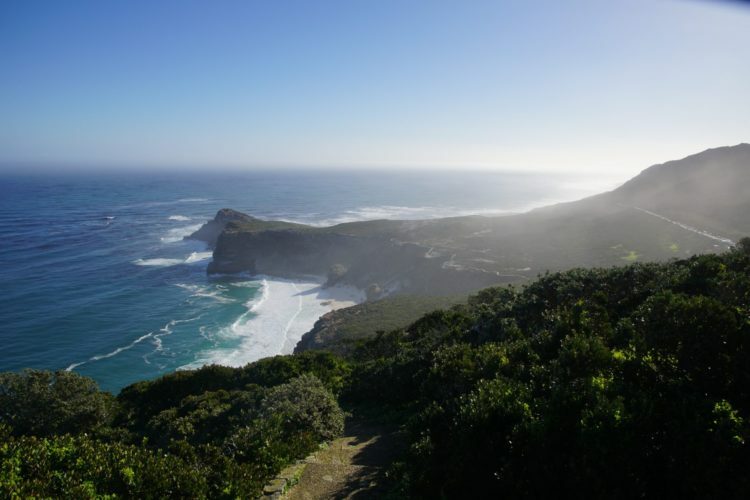 Chapman’s Peak is also only 25-30 minutes from the Cape of Good Hope and has amazing scenic viewpoints and nature stops along the way. The bottom line is that from Cape Town to Simon’s Town the immediate surrounding area is one of a kind and a must if you have the time. I would recommend renting a car and doing the drive yourself, as there are many spots that you will want to pull over for photos and relaxation. In Simon’s Town, there are only 3 shark tour operator permits allowed. The two best and most notable operators are APEX and ASEC (African Shark Eco Charters). Chris Fallows and his wife run and own APEX, while Chris’ former parter, Rob Lawrence, owns and runs ASEC. Both tour operators have similar same setups, their offices are in the same building near the pier, and their boats right by each other on the same warf dock. Generally a tour day is split into 2 tours, a morning and afternoon session. The morning sessions in general start early, with pre-departure meeting times at around 6:30 a.m. and action starting at 7 to 7:30 a.m. until roughly noon. Tours depart from the central warf area in center of town after a short meeting inside the office(s) to go over safely and what to expect. The warf area is walkable from almost anywhere in town and just 50 meters or so from the main street in Simon’s Town. Seal Island isn’t very big, especially the SW portion of the island where much of the predations concentrate, so the boats are almost always within sight of one another throughout the tours. 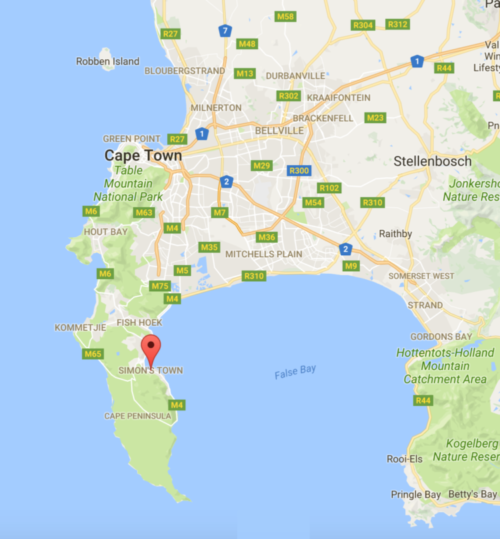 A big plus is that Simon’s Town is quite close to Cape Town, and you can arrange transfer to the dive company while staying in Cape Town for an extra 200-400 rand (or $20 – $40 US dollars). 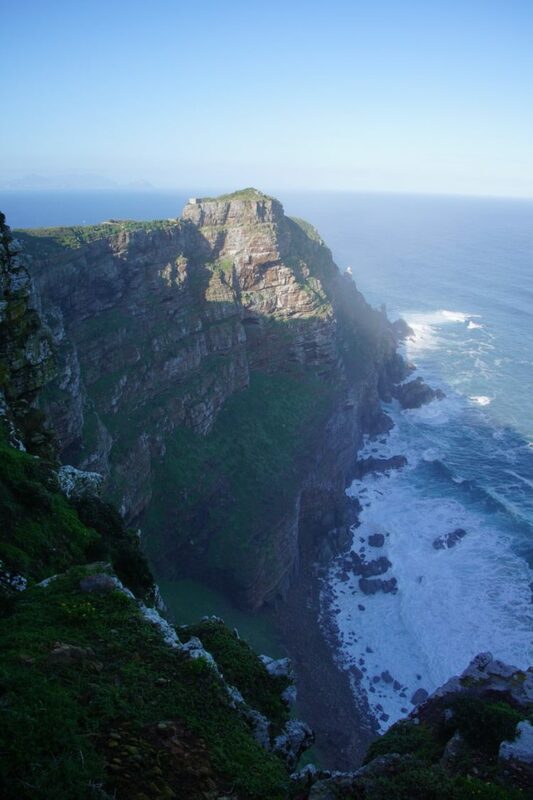 Once the boat is loaded with guests, you drive about 8 nautical miles or 20 minutes out to Seal Island in False Bay. Further from shore, the sea generally becomes a bit rougher and it’s probably a good idea to invest in some sea sickness tablets if think you may have sea sickness. Considering it’s smaller size, it’s amazing that the island has some 30,000 or more cape fur seals inhabiting it. Seals are the primary food source for great whites in this area. Unfortunately for the seals, they must leave the island to feed and not long after leaving, the water becomes much deeper, with the sharks waiting below them. Often sharks will see a seal swimming out to sea from the island and swiftly swim towards the prey, picking up an immense amount of speed. Just before contact the great white opens its jaws and flies into the seal and up and out of the water surface to make the kill. Kills are called predations. Predations are more likely to occur with single seals and when they are swimming back to the island. Tour guides say that predations don’t successfully happen as often with seals going out to sea as going in. The boats arrive at the island early, just past sun-up, often witnessing predations and even breaches right away. My first day a massive great white jumped out of the water only a few yards from the back of the ASEC boat. For morning dives, most of the predation action is within the first 2-3 hours, although from one day to the next that can change. The morning (and afternoon tours) last for approximately four hours and a light lunch, snacks and drinks are served on the boats. Essentially for the first half of the morning trip, you look for and witness predations. It’s an exciting and fairly chaotic scene. There are seals making runs to and from the island to feed, splashes and commotion in the ocean from predations, birds swooping down after kills, and boats sprinting from one spot to another trying to get up close to witness all of the action. You might hear someone shout “shark 8 o’clock” or “kill” and suddenly point in one direction or another. Moments after locating the action, the boat captain fires up the boat motors and powers full speed ahead to where something did, is, or might occur. You may see great whites actually flying out of the water for a kill, or chase a seal weaving around on the water’s surface. On a good day, there is action all around you and multiple predations taking place at once, but even on those days there is a lot of time spent looking at the water around the island, trying to spot actual and possible predations. Most of the predations happen within seconds and generally take place quite a distance away. So for photos of predations, it’s best to have a good zoom lens. I brought a Canon A77ii with a Tamron 18-200mm zoom lens and it worked out well to get close up shots of the predations. Generally the bigger (and lighter) the zoom lens the better. Chris Fallows go to setup for years has been the Canon 1DX with a 70-200 f 2.8 lens. One tourist from Canada on my boat had an iPad as his primary photo gear piece, although I wouldn’t recommend that. Underwater video cameras like GoPro are common, but shots and video from the boat are also plentiful and encouraged. 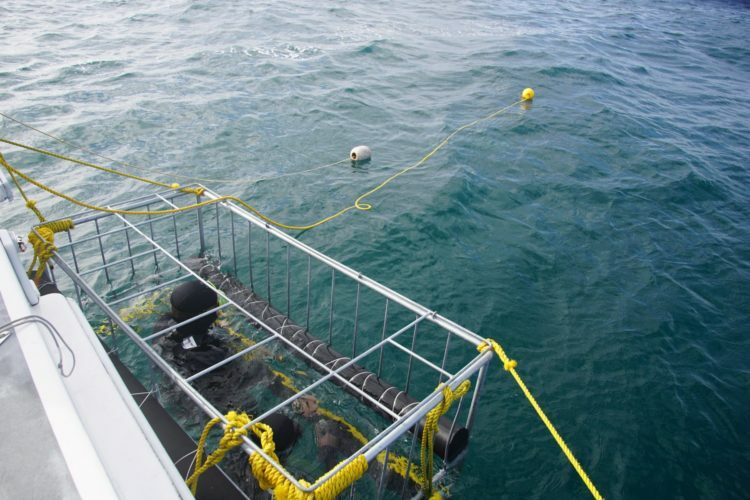 If there are people on board who would like to cage dive, the cages are generally lowered around 10-10:30 a.m and once sharks are spotted around the boat, people get into the cages. Both companies cage houses 2-3 people at a time. APEX does not supply oxygen or scuba (ASEC does); only wetsuits, hoodies and booties, and masks. The cage is lowered into the water, then chum (cut up fish) is put into the water around the boat to attack the sharks, then you see a shark, maybe more. One issue that people may not be quite ready for is the fact that divers don’t get into the cage and wait for sharks. Divers get into the cage only when sharks are spotted. So at one point your on the boat and the next you see large sharks circling the boat, and you hear “Ok, time to get into the cage now”. It’s about that time when you look at the person who said that like they have a screw loose, and start to rethink the whole deal. But basically you put your trust in the cage and the team that’s guiding you. They’ve done it many hundreds of times before and you are very secure there. Once you’re in the water, the visibility (vis) is key but varies dramatically from day to day, even hour to hour depending on the weather and current conditions. I could see around 60-80 feet away, but clearly for about half of that distance. During the APEX dive you’re in the cage without any oxygen or air tanks, so to get underwater you hold your breath and lower yourself in the cage. The water in Simon’s Town might be very calm before you leave but out in the open around the island it can get choppy really quickly. And when the waves get bigger you’re fighting those too. To help combat the waves and help you submerge, before you get in the water you’re fitted with heavy weights put across your shoulder and chest like a backpack sling. Depending on your weight you may need more than one weight pack because you’re body is naturally buoyant and will float towards the surface if you don’t have enough to hold you down. My first dive I had to literally hold onto the cage bars and hold myself under as I needed more weight to help keep me under water. Once you’re in the cage and sharks are around the boat, the crew will attach some cut up tuna to a rope and toss it in the water. Once the shark smells the fish and swims towards it, the crew generally pulls the rope around to allow you to see the shark maneuver for the bait. On occasion the shark comes very close to the cage and might even rub up against or hit it. One thing that surprised me is just how slow and calm the sharks are when you’re in the water with them. During the predations the sharks move incredibly fast when they attack the seals, but when you’re in the water with them, it’s nearly the opposite. They don’t really swim past as much as they glide by. They are investigating you out just as much as you are looking at them. After spending time in the water with great whites, I could tell that I wasn’t the primary prey of the animal, and fear subsides. They don’t have much interest in humans. We don’t smell right, we don’t look right, and we probably don’t taste right either (too many bones!). But then in a split second you might see the animal make a couple of swishes with its tail and fly up and out of the water to grab the bait. The speed, grace, and power of the animals is unreal. It makes you realize how limited and slow you really are in the water. In the afternoon trips, predations and shark breaches occur sporadically, but in greater numbers towards sun down. At this time of day, the sharks have a greater advantage in the deep water underneath the seals, as the seals can’t see as well beneath them in cloudy weather and lower light. Originally I booked 3 shark trips, one with ASEC and two with APEX. My trip with ASEC was cancelled due to bad weather, but both trips with APEX fortunately went ahead because of better weather. One of those tour days (with APEX) was only 50/50 because of weather concerns. Boat passengers are notified the day before the trip if a dive is a go or not, and some days that might mean not knowing until mid day so it’s not always easy to make plans in the area due to uncooperative weather. Luckily the weather held for me, and I was able to go out a second day (which ended up producing much more and better action and shark sightings). If you plan on seeing sharks in South Africa in the winter, expect similar weather issues and the real possibility of a cancellation; it’s just the way it goes. 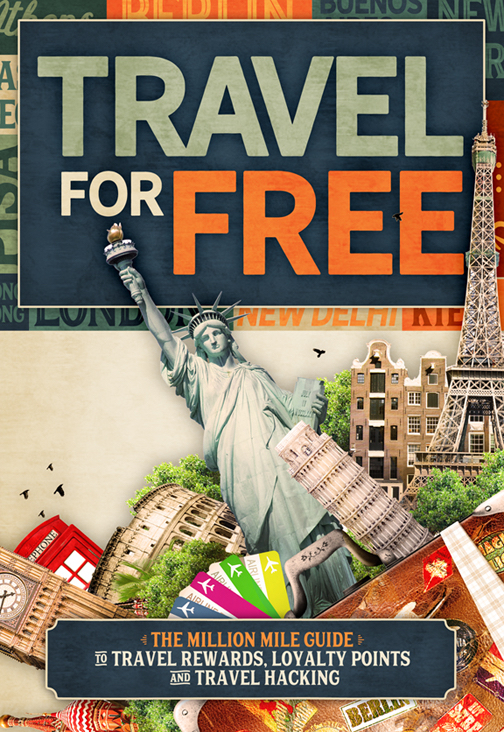 With that said during the winter months you may want to book 2-3 trips in case one is cancelled due to bad weather. If the wind or sea picks up it doesn’t take much to call a trip off, as the boats have to navigate in the sea and with cages hanging off their sterns, making sure everyone is safe and having a good time. Both dive companies advise bringing/taking sea sickness tablets that can be found at any pharmacy. It doesn’t take much to produce sea sickness for many people, and rarely will you get calm seas for a dive and there’s always movement of some kind on the ship. On my second dive, a guy came all the way from Canada to dive, only to spend 90% of his trip sick to his stomach, laying down in the cabin and occasionally throwing up over the side of the ship. It’s probably much better to be safe than sorry when you’re paying a premium for the experience. I didn’t take any medication or get ill, but feel a fortunate that I escaped the trips without sea sickness. Simon’s Town (False Bay) is really the only place in South Africa, and in the world to my knowledge, where you can consistently see great white predations, breaching, and cage driving all in one spot. Breaching does occur in Gainsbaai and Mossel Bay (also off the coast of California near the Farallon Islands), but it occurs more regularly in False Bay. 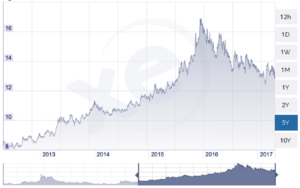 The currency in South Africa is the Rand and it has fluctuated dramatically in the past 5 years, but almost all in favor of tourists as the local currency (ZAR) has fallen in value since 2012. Cage diving with APEX Shark Expeditions starts at R2400 for a half day trip. Half day trips are divided into the morning and afternoon trips, as most of the feeding/predation takes place in the early morning and late afternoons/early evenings. Boat trips with APEX departs from the pier in Simon’s Town with cage dives, predations and shark viewing taking place at Seal Island. 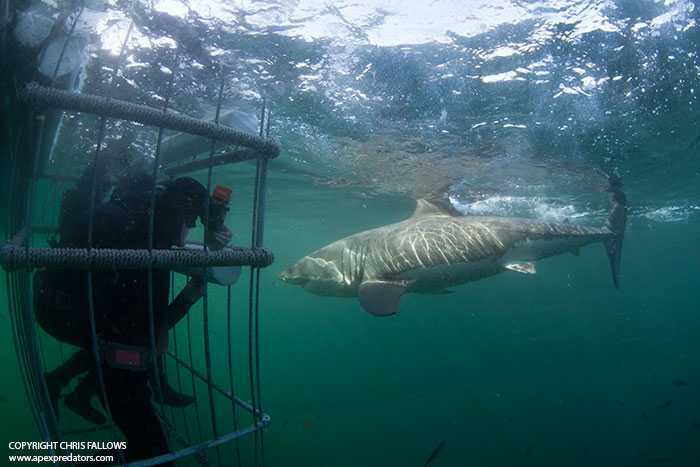 Great white cage diving at Gansbaai is also an option with APEX and other tour companies. The cost for those trips is cheaper (around R1500 to R1900) but boat groups are much larger (2-3x larger) and the experience is not the same as in Simon’s Town. The tours in Gansbaai are designed more for the masses and while offering a nice experience, it lacks the seal predation and breaching that Seal Island offers. Great white tourism started in the area when local fisherman first reported sharks flying out of the water in the 1990’s. Now it is the premier destination for great white shark experiences. In general and depending on the exchange rate, I would plan to budget US $200 – 250 for a half day of cage diving. With that price, you get boat transport to and from the dive area (about 20 minutes from shore each way), dive gear, light snacks, 20-45 minutes of dive time, probable shark predations, and unique encounters with other sea life. There is also a small gift shop with books, merchandise, and large shark prints taken by Chris from his many encounters with great white sharks up close. The photo prints aren’t cheap, even for the smaller sizes, so budget extra (a few to several hundred dollars) if you think you may buy something there. For those that would like door to door service, transport pickup and return with APEX can be arranged for an additional fee. Since the morning great white trips start before sunrise, that transport ride from Cape Town is EARLY!! Fortunately Cape Town is only about an hours drive from Simon’s town. Viewing great sharks is rare, and viewing predations and breaching is an extremely rare thing to witness. It happens in so few places in the world, especially where people can actually have the chance to see it. 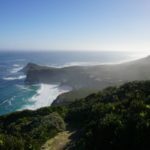 That fact, along with the cost, closeness of the dive sites to shore and high probability to see great whites, makes South Africa a truly unique place to take this type of trip. As a major bonus the area all around Simon’s Town is breathtaking. Even if you have a fear about going into the cage to face a large shark underwater, just viewing the shark from the boat is thrilling, as it’s just feet from the boat and provides some great photo opportunities. Often it’s easier to get great photos of big sharks from the boat rather than in the cage. In Simon’s Town, divers often have to contend with the waves, the cold, operating a camera underwater, less than perfect visibility, and a completely and previously unknown element: large great white sharks. I had a fantastic and memorable time on my trip and dives. I think you’ll find the experience to be very unique and worth every penny. Asa final note, I used Barclay Arrival points to completely pay for both of my cage dives – keep that in mind as an option when you go too!